This entry was posted in Uncategorized and tagged jujitsu, krav maga, Martial Art, mma, taekwondo on March 19, 2019 by aganzul. A Master Instructor Martial Artist from Greece! Well done and congrats to the latest Master Instructor! I don’t know from where to begin with. I read the course and I have watched the videos. They changed most things I had in my mind about martial arts. Generally I practice on combat systems. So, I figured that most of combat systems just get the surface of martial arts. I already applied some things, mostly on my stances and I show great improvements which need practice to be established. I thought all attacks and defenses I know and found out many mistakes. I’ m thinking correcting all my curriculum from the begging. I liked your approach of the idea of energy because I have studied philosophy and metaphysics, but your approach made it more practical in my mind. My win is that I show a depth in martial arts that I was feeling but couldn’t see. It is like you show that to me and I am very grateful about this. Now I have much material to work on in order to adjust on my martial arts. About life I have the same approach with you considering martial arts. “Well, Art is beauty. It is harmony. It is when the elements of the universe are arranged in a pleasing pattern. Thus, the dawn can be great art. And, the greatest artist is merely that individual who can arrange the greatest (most significant) number of elements in the most beautiful pattern.” The idea is that I want to put this in a combat system. I will keep practicing what I learned, thank you very much. Emman is from Greece and plans to open a school soon. Emman is going to be a success. You can just feel it. and arranging the most elements in a beautiful pattern. by giving enough information so they can do this. This entry was posted in Uncategorized and tagged greece martial arts, karate, krav maga, Martial Arts, pankration on April 6, 2018 by aganzul. How one person makes the martial arts intuitive! This entry was posted in Black Belt, gichin, kumite, Muay Thai, TaeKwonDo and tagged jujitsu, kenpo, krav maga, Martial Art, taekwondo on December 7, 2016 by aganzul. 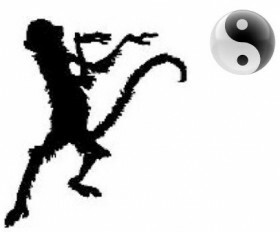 Monkey Boxing vs Matrix Martial Arts! Monkey Boxing Site Going Well! I go into the real reasons behind the martial arts. I impart the knowledge of the martial arts. But that doesn’t mean Matrixing is not for fighting. and fix them if need be. Monkey Boxing is the art I developed for fighting. How I apply myself to combat. and therefore fix that martial art. in the realm of combat applicable martial arts. because you understand how all arts work. and who got carried away. But they are for different purposes. Let me put it baldly. to separate Matrixing from Monkey Boxing. Monkey Boxers will get their own newsletter. This entry was posted in american kenpo, ed parker, marines, self defense, uechi and tagged gung fu, jujitsu, krav maga, mma, Tai Chi Chuan on November 14, 2016 by aganzul. and finding the silence in your art. from moving your body with muscles. In Tai Chi I used geometry. staying aware as I did so. that my body was composed of. when it is understood at all. which define the cells of the body. that is available nowhere else. and doing certain things in your martial exercises? you need to get the basic elements of the martial arts functioning. of such things as breathing, relaxing, grounding your weight, and so on. is key to this process. you have to understand concepts in specific arts you practice. In aikido you have to create the same size sphere as your partner. In Karate yoou have to reach intuition of movement. so that it never breaks. and how to Coordinate all of the concepts. That is how you forge yourself through the martial arts. how every thing is related and dependent. and so appear to be different. And the same is true for all arts. that is the properly aligned and fit together of all arts. I tend to get excited that way. in Burbank on OCT 18.
checking out the Tai Chi Chuan aspect of the martial arts. This entry was posted in american kenpo, Black Belt, Black Belt Course, chi, chi gung, home study martial arts, karate, kenpo, kung fu, Martial Arts, martial arts books, pa kua chang, real karate, real kung fu, real martial arts, self defense, shotokan and tagged black belt, karate, krav maga, martial art connection, Martial Arts, mcmap, mma, tai chi, wing chun on October 14, 2014 by aganzul. Shihan would say “best defense is ‘please don’t hurt me’ and if they continue to harass or intimidate you, only then do you try to take the gun from them”. My sensei would tend to agree with him, and why shouldn’t he, after all Shihan was his Sensei. Nick Cerio didn’t feel that way, as a police officer he felt that the inclusion of defenses against modern weapons was absolutely necessary. So with Ed Parkers blessing Cerio branched Kenpo to include some modifications including adding gun defenses. 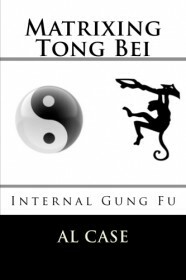 Have you read the latest Al Case Martial Arts thriller? click on the cover! The Israeli Defense Force has to deal with guns all the time, so Krav Maga includes gun defenses. I personally feel, that given the fact that above the age of twelve most fights include a weapon or multiple attackers, you must start addressing modern weapons. Of course I also tend to agree with Shihan, and diffuse the situation if possible. However, I think you should also be trained how to handle such a situation properly, not making mistakes like trying a disarm and ending up wrestling over the gun, and having it pointed at yourself. Gun safety, especially among children becomes more important every day. Handling someone with a weapon, and especially a gun, is a dangerous thing to do. The techniques should be tested, and proven. Thus, my personal opinion is to that the best place to borrow these modern weapon techniques from systems that must defend against them on a day to day basis. Feel free to look around and compare, but the best most realistic techniques out there are from Krav maga. Not only are these techniques easy to learn, no non-sense, and realistic, they are proven effective, which is why law-enforcement teaches them all over the world. So as you may have guessed, I feel it is foolhardy to proclaim that you teach self-defense and not teach modern weapon defenses. Here are some of the ideas that I think should be incorporated into training, besides things like disarms. 1. Teaching everyone not to touch a gun they have found (contamination of evidence), children should get an adult, adults should call law enforcement. 2. Safe gun handling, handing off a weapon, clearing a weapon etc. 4. First aid/CPR and treatment of combat wounds. A great choice would be EMT training, since most “First aid courses” are simply courses of “call 911”. If you are not qualified to teach these courses yourself, make sure students have access to those classes. 5. how to deal with an active shooter situation. As for myself, when I open my own school, I intend to make regular trips to the range, and encourage my students to join me, Also I intend to ask my students to pursue getting their own conceal carry permits. Alaric Daily began practicing the martial arts in 1992. Martial Art he has studied include Pangainoon, Karate, Kenpo, Wing Chun, Krav Maga, Judo, Jujitsu, Aikido, Bagua Zhang, and Tai Chi Chuan. For a real Martial Arts tune up…subscribe to this blog. This entry was posted in american kenpo, Black Belt, Black Belt Course, deadliest martial arts, gung fu, home study martial arts, kenpo, knife fighting, knife fighting DVDs, martial arts weapons, real martial arts, self defense, TaeKwonDo, taekwondo kicks and tagged Alaric Dailey Shihan, best defense, best self defense, defense against weapons, gun defenses, krav maga, Martial Arts, Martial Arts Weapons, modern weapons, Modern Weapons vs Martial Arts Guest blog, Nick Cerio, self defense on May 1, 2014 by aganzul.